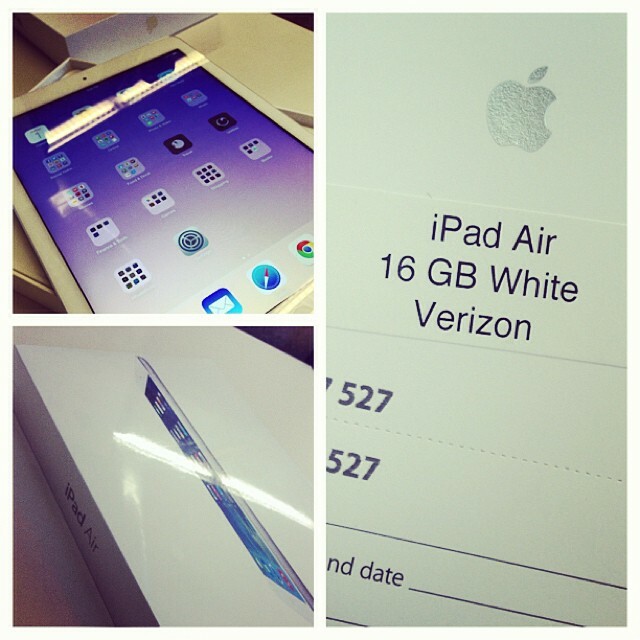 On Friday I became the owner of an iPad Air. I was actually surprised how quickly I got it. After lunch I drove on over to the mall, went up to the folks at the Apple Store, told them what I wanted, and within 15 minutes I walked out of the store with a brand new iPad Air. Since I did not have the pleasure of unboxing my new iPhone, I got to watch Cristina unbox her new iPad Air today! We love our toys!!! I unboxed it back at the office (my coworker caught the whole thing on video), and right away I was very impressed with how light it is in comparison to the iPad 2 (one whole pound!). Speaking of which, my old iPad 2 has been passed on to Josh who is now using it for his work; he’s able to load all of his car manuals on it through iBooks and access them a lot quicker than from his laptop. I get a shiny new gadget, and he gets a new gadget. It’s a win-win for the both of us! The retina display is very crisp and clean! It’s faster. Even the cellular data is faster – LTE, woot woot! Now all my devices use a lighting cord. The lack of cases/covers to choose from.